In the developing world, giving birth can be a dangerous affair. Mortality rates are high for expectant mothers, mainly in third world countries, reaching 300,000 deaths each year. While women are encouraged to seek medical care before and during labor, poverty, and the need to travel long distances on foot, make prenatal and delivery visits extremely challenging. Even when patients are able to reach a facility, electricity can be non-existent, forcing caregivers to help deliver or perform surgery by the light of a cellphone or wait until daybreak. Dr. Laura Stachel and her husband Hal Aronson created WE CARE Solar to bring the most basic and important technology to hospitals in need of light. Dr. Stachel, an obstetrician from California, began working in Nigeria in 2008 to study ways to reduce maternal and infant mortality rates. She found that hospitals were lacking in the most basic necessities, including a steady and reliable source of light. Nighttime deliveries were either attended by flashlight or critical care would have to be postponed until daylight hours. 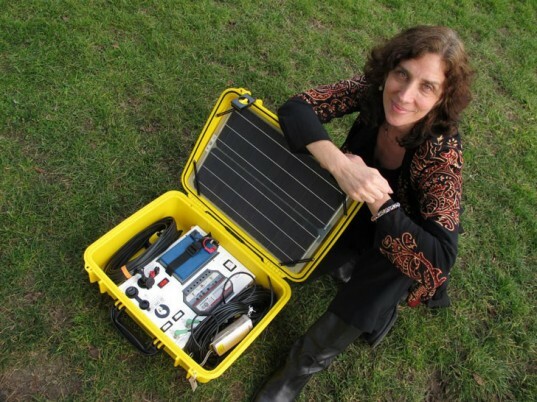 Collaborating with her husband, a solar energy educator in Berkeley, the couple created an off-grid solar system that could be transported to where it was needed most. The Solar Suitcase includes high-efficiency LED lights, a universal cellphone charger, a charger for AA or AAA batteries, and 12V DC outlets. The case supports either 40 or 80 watt solar panels, and a 12 amp-hour sealed lead-acid battery. The kit can also be expanded to accommodate larger batteries. 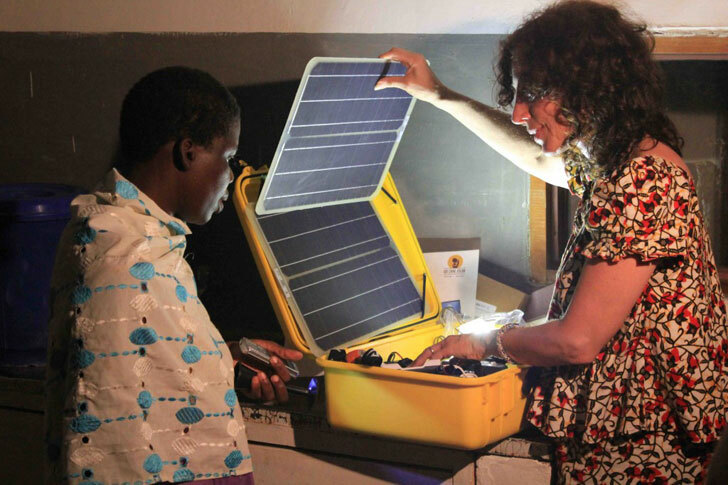 Their Solar Suitcases were initially fabricated for midwives in Northern Nigeria. As word spread, their invention made its way to health workers and disaster relief teams around the world, including Haiti after the massive 2010 earthquake. The WHO invited WE CARE Solar to partner with Liberian Institute for Biomedical Research to bring 20 of their suitcases to the country. In 2011, they began to work with a local manufacturer to assemble over 300 Solar Suitcases to distribute them across the globe. Currently, they hope to expand their program to Sierra Leone, Uganda, and Malawi. Donations to support the mission of WE CARE Solar can be made through their website. This box is a savior for underdeveloped countries like HAITI where I am from. I would like to buy one Yellow box and try it in a far remoted clinic ib Haiti. Please let me know how much I have to mail.This yellow box will save life in this country. Thousands thanks.